They are made from chemical free brown rice in the Korean first clean tech area, Eco City Yangpyeong. As it is not fried oil, it has soft and mild taste. 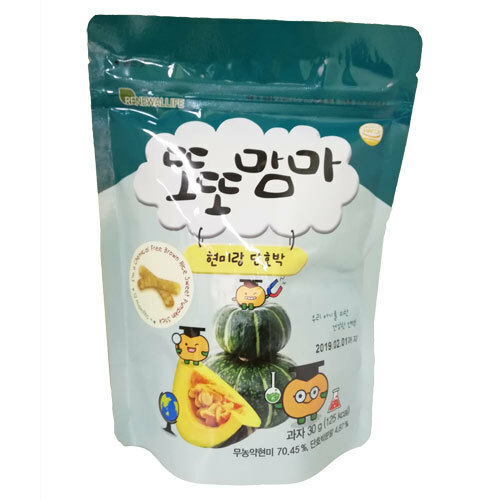 It's coated with highest quality pumpkin powder and it is the best eco-friendly snack which maintains the nutritional ingredients for your family. *Children should only consume under adult supervision. If choking should occur, give warm water.